WINSLOW – Eleanor B. Esancy Poulliot, 99, passed away on Tuesday, October 30, 2018, at Bedside Manor, in Oakland. Eleanor was born in Appleton on Easter Sunday, April 20, 1919. She was the sixth child of Alice (Payson) and Herbert Esancy. Her family moved to a farm on Lakeview Drive, in China, when she was ten years old. She attended Erskine Academy, in South China. Eleanor met Frederic J. Poulliot at Dowe’s Dance Pavilion, in South China. They were married September 21, 1935. They built a log home on the Wyman Road, in Winslow, where they lived and raised their family. They enjoyed 70 years together until Freddie’s death in January 2006. She lived in her home independently until shortly after her 98th birthday. Eleanor worked in the spinning room of the American Woolen Mill, in North Vassalboro, for many years. She was very active in starting Winslow Football Boosters in 1957, while her three sons were playing. She worked on banquets for many years even after her sons graduated. She is the only person who has a Winslow “W” that didn’t participate in a sport to earn it. She was also active in music boosters and was a long-time supporter of Winslow High School and her grandchildren’s various activities. She liked snowmobiling with her children and grandchildren and was a member of the Fort Halifax Snowdrifters for many years. In her later years she welcomed company and the discussions that took place in her kitchen. There were always home baked goodies to share with coffee or tea. Eleanor was predeceased by her parents; her husband; her brothers, Clarence and Ralph Esancy; her sisters, Gertrude Ring, Hazel Fitzgerald, Doris Bumps-Newcomb, Evelyn Van Gemert, and Charlene Dyer; daughter-in-law, Judith Poulliot; and son-in-law, Laurier Bouchard. Eleanor is survived by her four children, nine grandchildren, and 16 great-grandchildren: Norbert Poulliot, his daughter Jodi Leclair, husband Kenneth and their two children, Katherine and Joseph; his son Jeff Poulliot and his three children, Andrew, Nicholas, and Jocelyn; Milton Poulliot, wife Sylvia, their daughter Shelly Selwood, husband Joel and their two children, David and Carrie; their son Brian Poulliot, wife Kristy and their two daughters, Natalie and Ashley; Ronald Poulliot, wife Sandra, their sons Kevin Poulliot and Michael Poulliot, wife Lana, and their two sons Matthew and Christopher; and Sherril Bouchard, her three sons, Troy Bouchard, wife Brigette, and their three children Sebastian, Cedric, and Hattie; Scott Bouchard, wife Judi and their two children, Kelsea and Trenton; and Ryan Bouchard; many nieces, nephews, and one sister-in-law, Helen Z. Poulliot,of San Antonio, Texas. Contributions in her memory may be made to Hospice Volunteers of Waterville Area, 304 Main Street, Waterville, ME 04901. An online guestbook may be signed, and memories shared at www.familyfirstfh.com. WINDSOR – Tabitha Lynn Luczkowski, 28, of Windsor, died unexpectedly Sunday November 4, 2018. 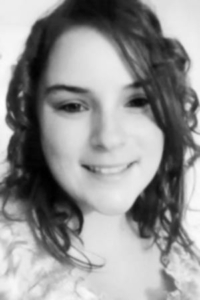 She was born in Augusta on January 10, 1990, the daughter of Joseph Luczkowski Sr. and Tamara Schriver. Tabitha attended local schools and graduated from Lawrence High School, in Fairfield. Following graduation she got her certification as a CRMA and began working in the home healthcare field. She was known as a hard worker, loving, caring, and genuine person. Tabitha would walk into any room and the room would brighten up, kids loved her. Tabitha was predeceased by her grandparents, Dora and Robert Dolan, Paul Schriver, Mary Work, Michael Luczkowski Sr., Phillip Tame; an uncle, Todd Schriver. She is survived by her parents, Tamara Schriver, of Windsor, and Joseph Luczkowski Sr., of Augusta; a daughter, Vada Luczkowski, of Windsor; three brothers, Anthony Luczkowski, of Windsor, Adam Schriver, of Augusta, Joseph Luczkowski, Jr., of Indiana; two sisters, Leah Cheney, of New Gloucester, Hannah Stayley, of Washington State; two uncles, Donald Work, of Westbrook, Michael Luczkowski, Jr., of Litchfield. Arrangements are in the care of Staples Funeral Home and Cremation Care, 53 Brunswick Avenue, Gardiner, Maine. In lieu of flowers donations may be made to Tamara Schriver, 16 Barry Lane, Windsor, ME 04363. BENTON — Madelaine Baum, of Benton, passed away on Monday, October 22, 2018. Madelaine was born in Fargo, North Dakota, in 1934. She grew up in the Bitterroot Valley, in Montana, where she met and married Ralph Baum. They moved to Washington state, where they had a family of six boys. After rearing her children, Madelaine started several small businesses, all of which were successful — a word processing firm and a chain of consignment shops in Seattle, Washington, a commercial kitchen serving Hanford Nuclear Works in Richmond, Washington, and an estate sale business. Upon moving to Maine in 2007, Madelaine was hired at Redington-Fairview Hospital, in Skowhegan, where she not only worked but also made many friends. She thoroughly enjoyed her work and continued working past her 80th birthday. Madelaine had many interests and developed many skills. She played the piano and autoharp, bred show canaries, hooked rugs, crocheted bedspreads, tablecloths and doilies, and crafted Victorian lampshades. She had a flair for home decorating, using many items she created. During her spare time, she was an avid reader and could often be found with a book in her hands. Madelaine was predeceased by her son David; and her sisters Eva and Lillian. She is survived by her sister Frances Avery of Arvada, Colorado; her sons Lawrence, Stephen, Alan, Ken, and Carl; nine grandchildren; and six great-grandchildren. ALBION — Stephen Southwick, 47, passed away Saturday, November 10, 2018. He is survived by his parents; his wife, Diana; his son, Paul; his daughter, Sarah; and his brothers. An online guestbook may be signed, and memories shared at www.familyfirstfh.com. Arrangements are by Lawry Brothers Funeral & Cremation Care, 107 Main St., Fairfield. In lieu of flowers, the family is requesting donations in his memory be made to Albion Christian Church or: The Jerusalem Prayer Team. 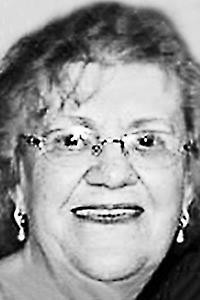 WINSLOW — Eldora (Dolly) Strickland, of Winslow, passed quietly on Tuesday, November 6, 2018, following a long battle with rheumatoid arthritis. She was born in Hartford, Connecticut, and moved to a dairy farm in Monroe with her parents when she was a toddler. Eldora was the second born of seven children to Octave Lavway and Lucille (Roberts) Lavway. Eldora graduated as valedictorian from Monroe High School and was awarded a bachelor of science degree in business education from Husson College, in Bangor. She taught business education at the high school level for over 30 years at Belgrade Center School, in Belgrade, Williams High School, in Oakland, and Messalonskee High School, in Oakland. She served as acting head of her department at Messalonskee High School and retired from teaching in 1989 due to health issues. Eldora enjoyed knitting, embroidery, reading and attending plays at Lakewood Theatre, in Madison, and Monmouth Theater, in Monmouth. Her favorite subject matter was history, particularly English history. She was also a member of the Maine Teacher’s Association. Eldora earned respect and admiration from everyone she met and will be remembered with gratitude by acquaintances, family, and students alike. She was predeceased by her parents; two sisters, Virginia and Gloria, two brothers, Vincent and Arthur; and a daughter Jean. She is survived by two sisters, Theresa Abbott and Janette Prescott; a daughter, Elizabeth and her companion Robert; two grandsons, Ashley Cully-Strickland, Kyle Boucher and his spouse Darcy; and a great-grandchild, Kylie-Jean. Arrangements were under the direction of Riposta Funeral Home, Belfast. SOUTH CHINA — Michael O’Brien, 62, died Monday Nov. 12, 2018, following a battle with cancer. He was born in Wilmington, Massachusetts, on July 6, 1956, the first son to the late Neil and Jeanne (Beliveau) O’Brien. People liked Mike’s mischievous ways and his ability to always come out like a shining star. As a youngster he loved dogs which continued on throughout his life. He played little league in Wilmington, Massachusetts, which started his love of sports. He loved supporting his two sons through their school years watching them play sports as well as coaching and umpiring. As they grew older his entire family benefited from his love of the outdoors: hunting, fishing, ice fishing, snowmobiling and four wheeling. He loved to teach his boys which had a ripple effect on his entire family. Mike was a graduate of Belfast High School in 1974. He attended Maine Maritime Academy, in Castine, and went on to become a merchant marine. After shipping out for a number of years, he thought it would be better to stay home with his family and went on to start his own business called O’Brien Oil and Propane which he operated, in South China, for 29 years. Through all of his success he never lost sight of the less fortunate, he was a very compassionate and giving person. He is survived by his wife of 35 years, Judy O’Brien, of South China ,who he affectionately called Jude; two sons, Christopher Michael O’Brien and his fiancé Krystina Foote; grandchild, Paisley Ann Marie O’Brien, or as Mike called her “Pumpkin” of South China; his second son Benjamin Daniel O’Brien, of Windsor; five siblings, Kathleen Weber and her husband Bill, of Englewood Florida, Donna O’Brien, of Belmont, Daniel O’Brien and his wife Tammy, of Searsmont, Judy Douglas and her husband Scott, of Frenchtown, Montana, and Patricia Cole and her husband Victor, of Tenants Harbor. He is also survived by many nieces, nephews, and cousins. Arrangement was under the direction of Plummer Funeral Home, Windsor Chapel, 983 Ridge Rd, Rt. 32, Windsor. VASSALBORO — Barbara L. Hammond, 81, of Main Street, died Monday, November 12, 2018, at Gosnell Memorial Hospice House, in Scarborough, following a brief illness. She was born in Worcester, Massachusetts, on April 4, 1937, the daughter of Richard L. Kent and Beatrice (MacDonald) Kent. Prior to her retirement, Mrs. Hammond was employed as a customer service representative by L.L. Bean for many years. Her husband, Charles B. Hammond, died on November 12, 2015. She was also predeceased by a son, Craig Hammond; and a daughter, Heather Mayo. Surviving are five sons: Chris Hammond and Kerry Hammond, both of Milton, New Hampshire, Brian Hammond, of Minneapolis, Minnesota, Jimmy Hammond, of Vassalboro, and Scott Hammond, of Tampa, Florida; two daughters, Amy L. Hodgson, of Somersworth, N.H., and Lisa Dore of New Durham, New Hampshire; two sisters, Constance Allison, of Hudson, Massachusetts, and Carol Sanborn, of Shrewsbury, Mass. ; two brothers, Alan Kent of Sutton, Massachusetts, and Richard Kent, of Worcester, Massachusetts; many grandchildren, great-grandchildren, great-great-grandchildren, nieces and nephews. BENTON – Manley Orrin Gower, 88, passed away Tuesday, November 13, 2018, at Glenridge Nursing Home, in Augusta. He was born January 9, 1930, in Skowhegan, the son of Lloyd Vernon and Vivian Emily (Corson) Gower. 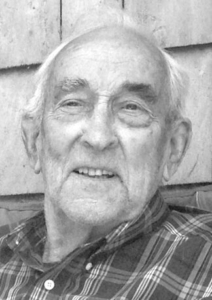 He was educated in the schools of Skowhegan and graduated from Skowhegan Area High School in 1948. He was a self-employed owner/operator of Manley O. Gower Excavation from 1963 until his retirement in 1985. He loved to go to camp on Chase Hill and enjoyed hunting and 4-wheeling. Manley is survived by his son, Ricky A. Gower and fiance Sherri Bearden, of Benton; two daughters, Deborah Wheeler and husband Jerry of Clinton and Rebecca Dixon and husband Douglas, of Benton; many grandchildren and great-grandchildren. He was predeceased by Jean, his wife of 49 years. In lieu of flowers, friends wishing may make donations in Manley’s memory to the Harold Alfond Center for Cancer Care, PO Box 828, Waterville, ME 04901. KENNETH E. WIL­LIAM­­SON, 70, of Fort Pierce, Florida, passed away on Monday, October 8, 2018, following a unexpected illness. Locally, he is survived by daughters Wendy Lee and husband Wayne, of China, and Laurie Roeske and husband Donald, of Clinton; sisters Della Foss and Shiela Bourget, of Clinton, Rose Jenness, of Vassalboro, and Sylvia Glidden, of Waterville.